Had to get my yearly Florida /Ocean fix and gather a few more Sea Shells to add to my thousands that I already all over my house and in the basement . ( You think I’m kidding ?) Florida is a beautiful state. My long time favorites areas of beach/ocean/sea shell exploration lie in Bonita Springs, Naples, Fort Myers Beach, and Sanibel . A trip is not complete for my best friend Carol and I if we have not hit them all. 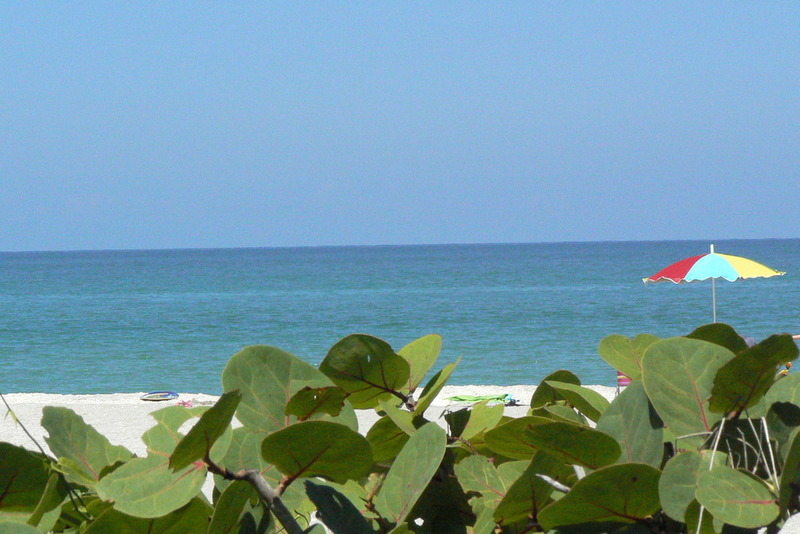 Renting a condo at the Bonita Beach Club is the best – right on the ocean for early morning shell searches. Sanibel is great for everything – beaches, shells, shopping , restaurants and Baileys Grocery makes the best Cranberry Orange muffins in the US! Beaches? 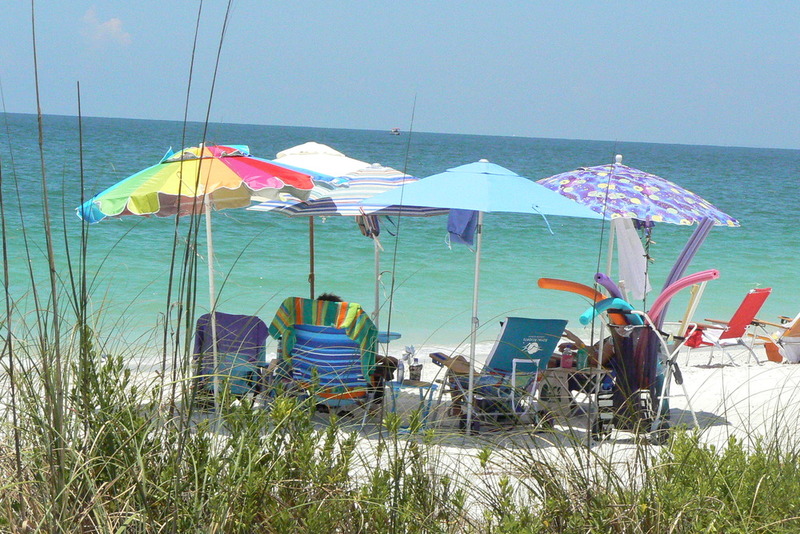 There are many., many beaches to choose from – pick a new one everyday. And food? Joe’s Diner in Naples is a sleeper – unassuming diner with great food. 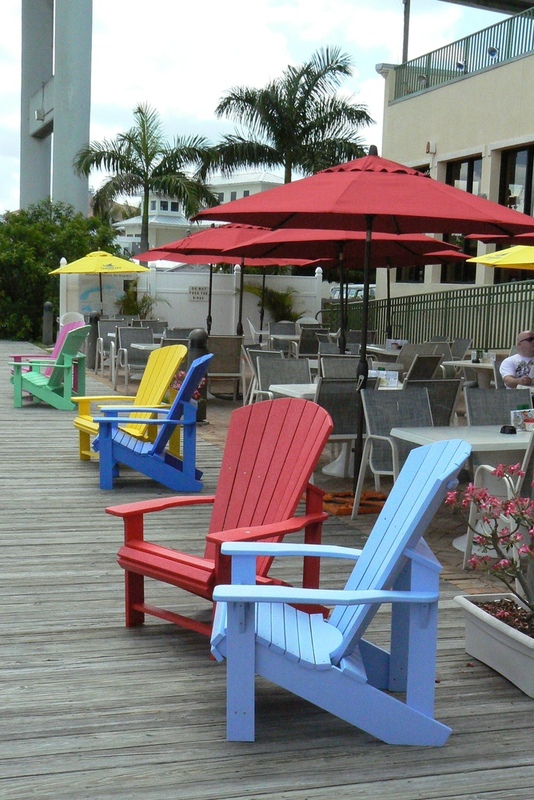 Perkins Pancakes is always wonderful and the Beached Whale in Forts Myers Beach has the best of everything – sit high on their flat roof/ deck , under an umbrella , look out at the ocean and enjoy great food. 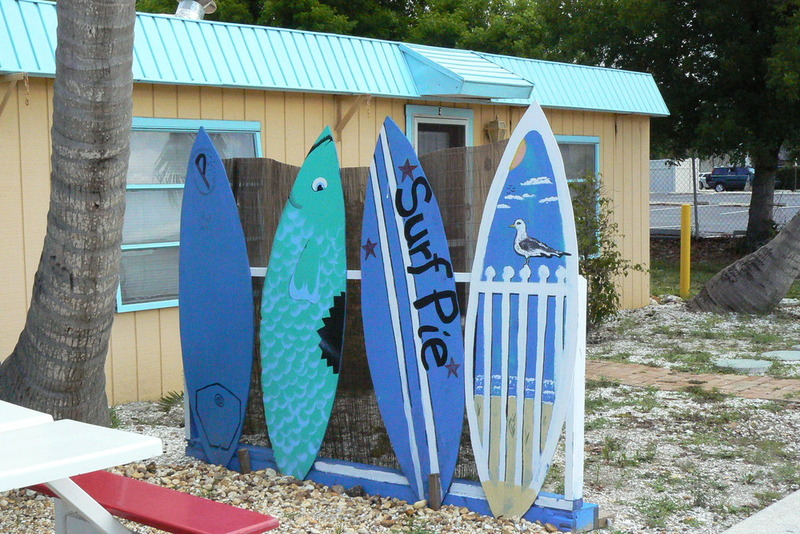 Check out the Pink Flamingo in Sanibel for a great burger and Key Lime Pie. 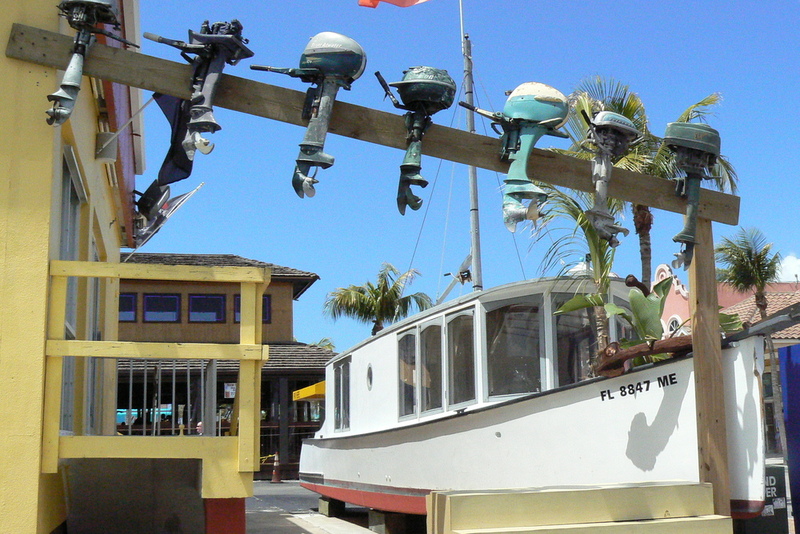 Shopping is everywhere but Sanibel and Fort Myers Beach are our favorites. 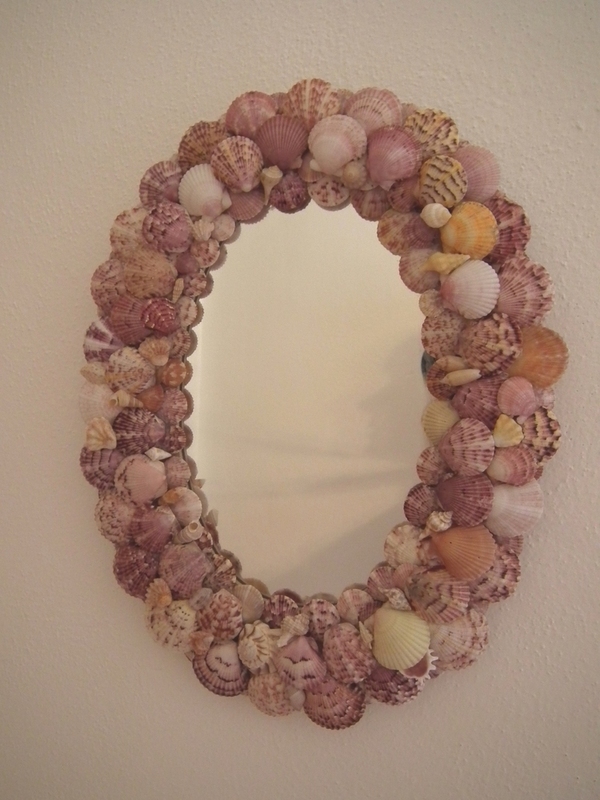 And did I mention sea shells? A trip is never complete if we haven’t sailed with Cory, owner of Off the Hook Adventures, on his catamaran to the uninhabited islands for the best pickings of shells. We love Cory – he’s friendly and interesting and every trip with him is memorable . 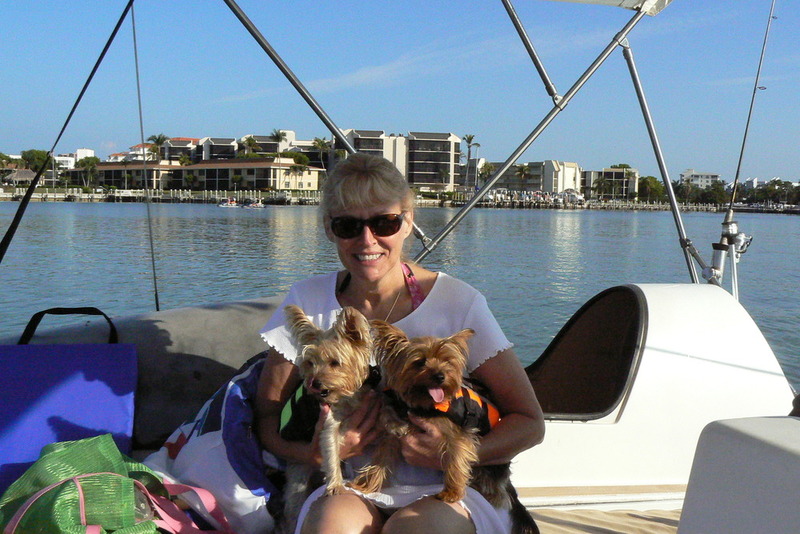 This June, he had 2 new ship mates – Chanel and Mercedes. These Yorkies came all the way from Italy!! You’ll have to have Cory tell you the story. 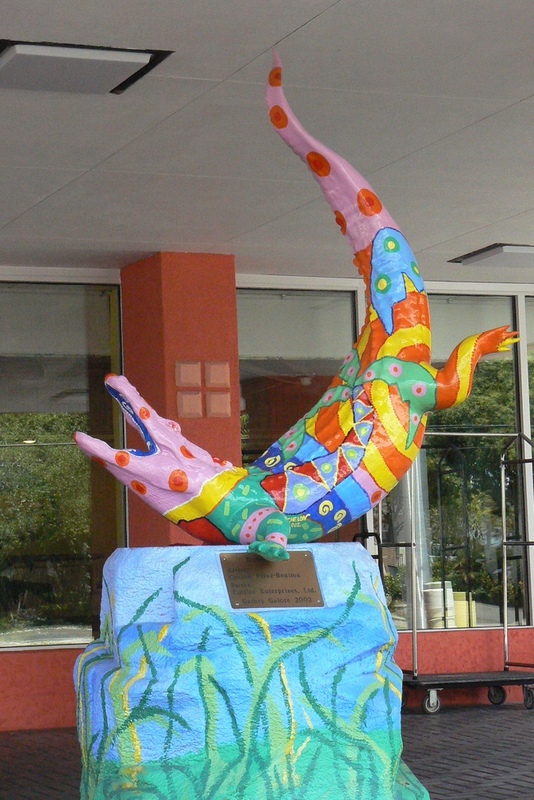 Old motors become Floridian art! Sit a spell and enjoy the Ocean. Outing with Cory for shells.